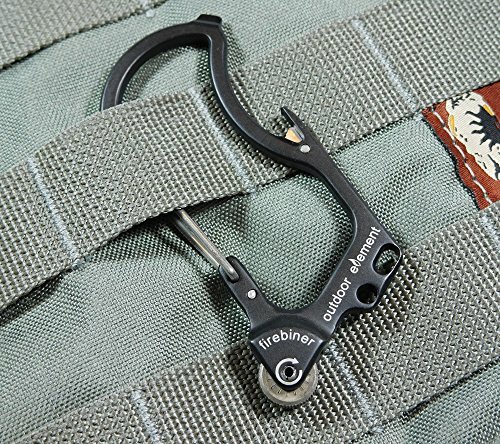 Firebiner Carabiner and Firestarter - Moar Stuff - You don't need it but you know you want it. 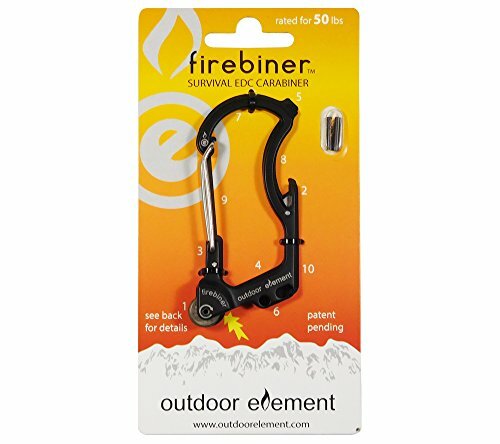 The Firebiner is a carabiner and firestarter in one convenient package. 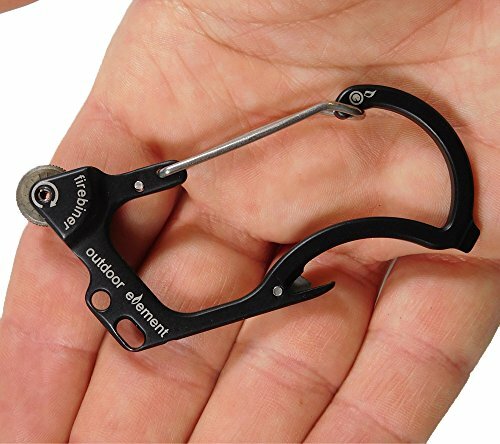 It’s perfect for hiking and camping as well as EDC. 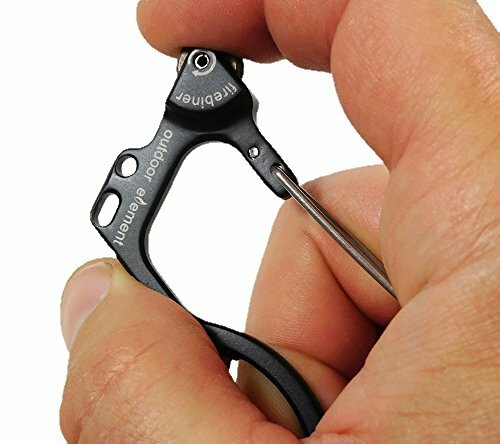 Basically, it’s a stainless steel carabiner with a compact wheel situated at the tool’s bottom left corner. It uses replaceable flints to produce sparks with just a flick of your thumb. 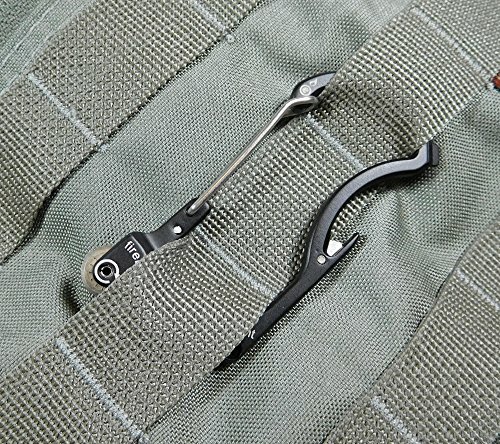 It also has a small flathead screw driver, seat belt strap or cord cutter and bottle opener built-in. So, it’s pretty versatile for such a small device. 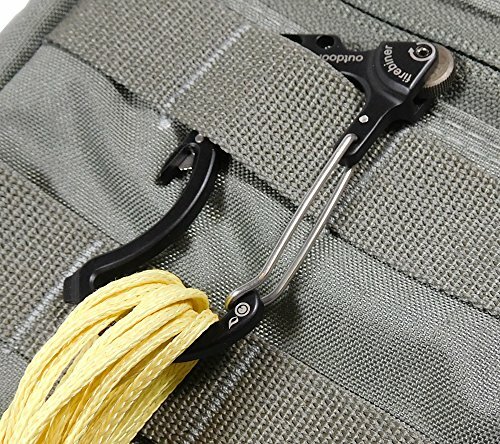 It’s pretty tough (made of steel and all) and is even available in four different color choices. 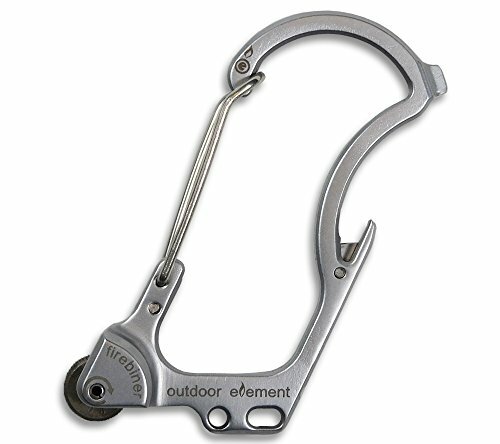 It’s absolutely perfect for use as a key ring or attached to your hiking or camping gear. 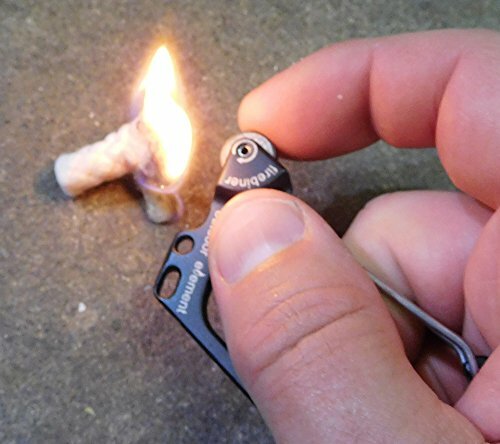 If this is still a bit too much for you to catty but you still want to have fire making tools on hand, take a look at the Paracord Survival Necklace. It’s about as light weight and easy to carry as you can possibly get. Dimensions: 3.11” x 1.42” x 0.38”. Flints are replaceable for long-term use. Two replacement flints are included.